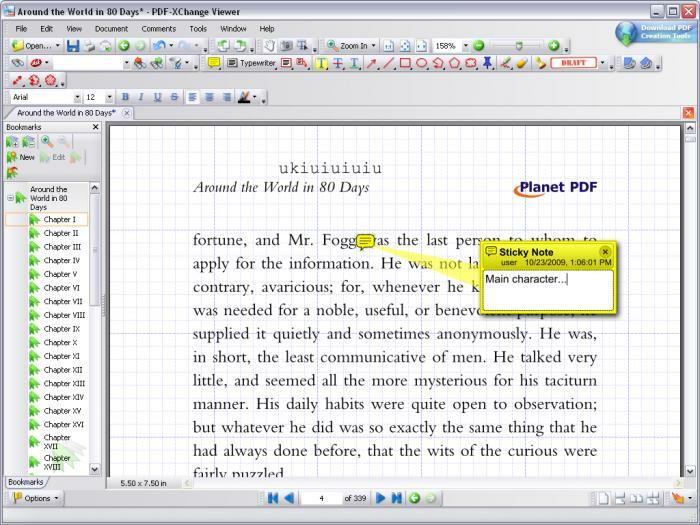 Description: It is a PDF viewer with the ability to display multiple PDF documents within a tabbed interface. It allows you to add comments/annotations to any PDF file, apply custom stamps from any image/PDF file/Windows clipboard, mark-up pages with text and objects, type directly on any PDF page in "Typewriter" mode. It also supports exporting PDF pages to BMP/JPEG/TIFF/PNG etc., or extract text from a PDF page/file. Additional features include capturing the document with the snapshot tool, rotating and saving a document etc.